As many of you know, ice cream is definitely my weakness. It’s my ultimate comfort food and something I always keep as a sneaky treat in the freezer. While I love eating it, I have never visited a dairy farm to see all the hard work that goes into making this creamy decadence, and now I appreciate it even more. 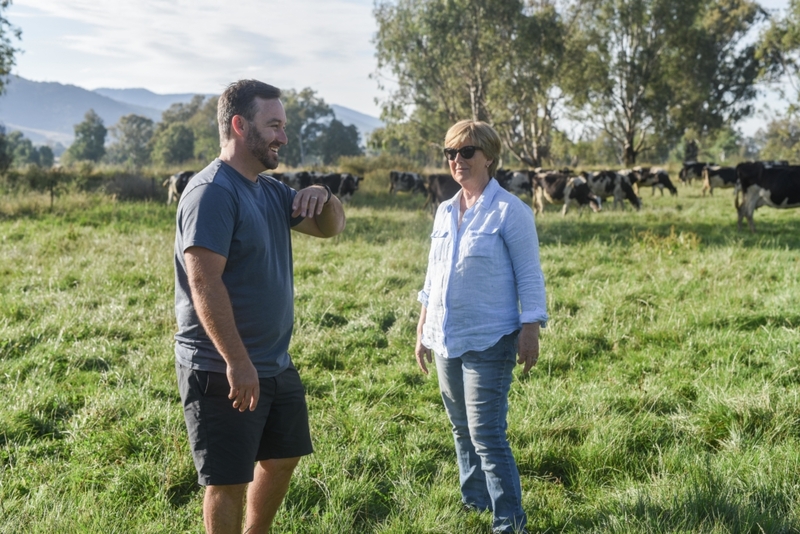 This year I had the pleasure of venturing to Victoria’s North East to see a real dairy farm in action and discover their farm to fridge story. 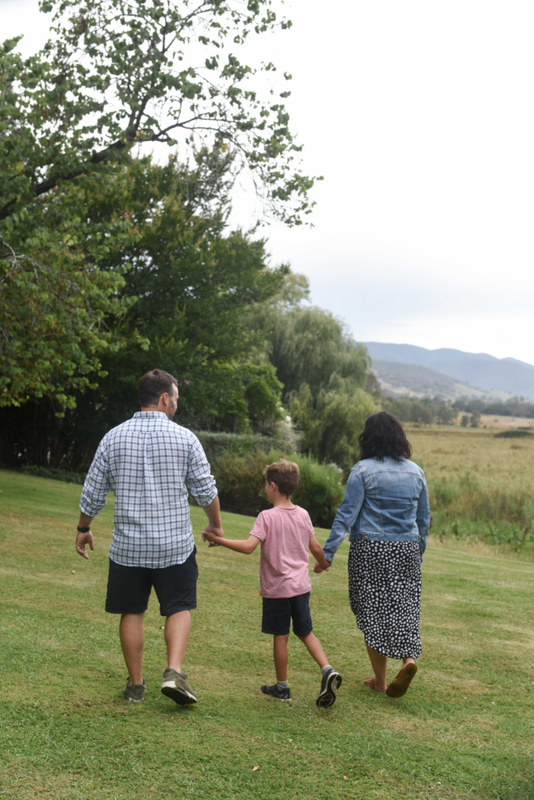 A blink and you miss it style dirt track is marked with ‘homestead’ which leads to Gundowring’s idyllic homestead and ice cream factory, nestled in the green rolling pastures of the Kiewa Valley. Dairy farmers are exceptionally early risers since the cows are milked first thing in the morning. I’m not a morning person at the best of times, but thanks to a super strong coffee I arrived at Gundowring in time to see the sunrise over the beautiful pastures and see the cows being milked from 5.30am. 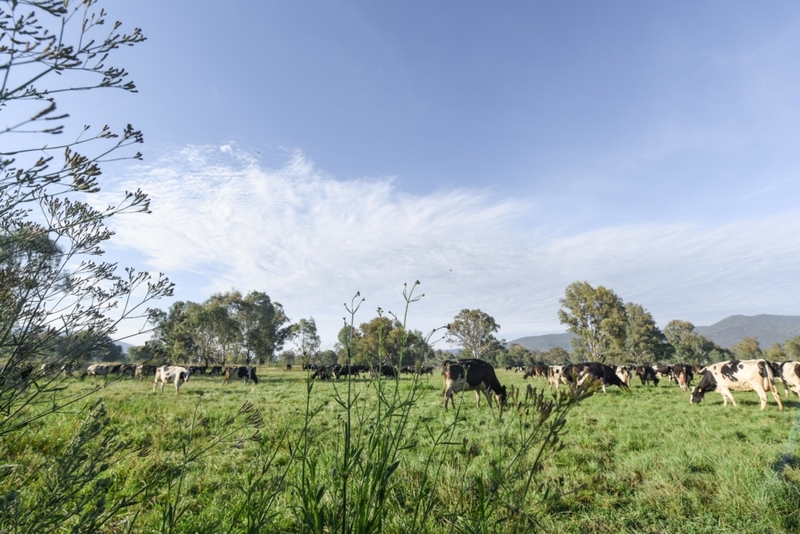 The farm is gorgeous , surrounded with red river gums and grey box eucalypts and over 500 black and white Holstein cows grazing on the lush 1,000 acre homestead pastures . 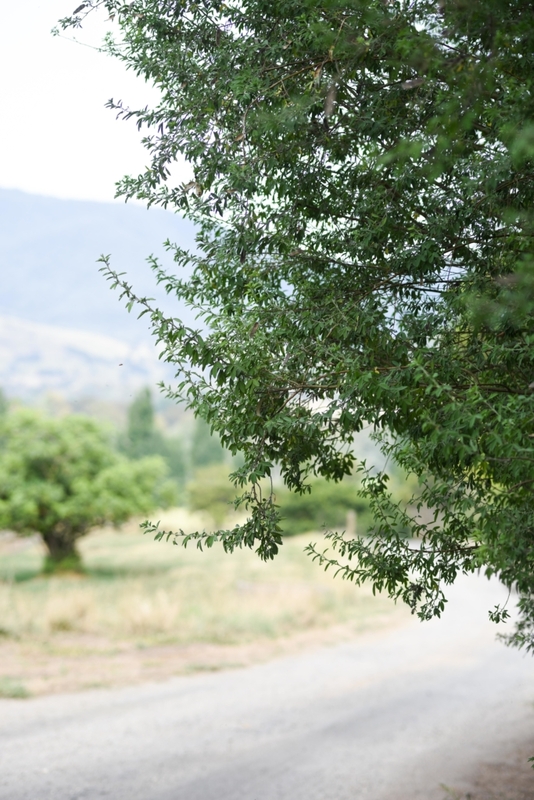 It’s a quiet and peaceful spot, overlooked by the majestic Mount Feathertop in the horizon. 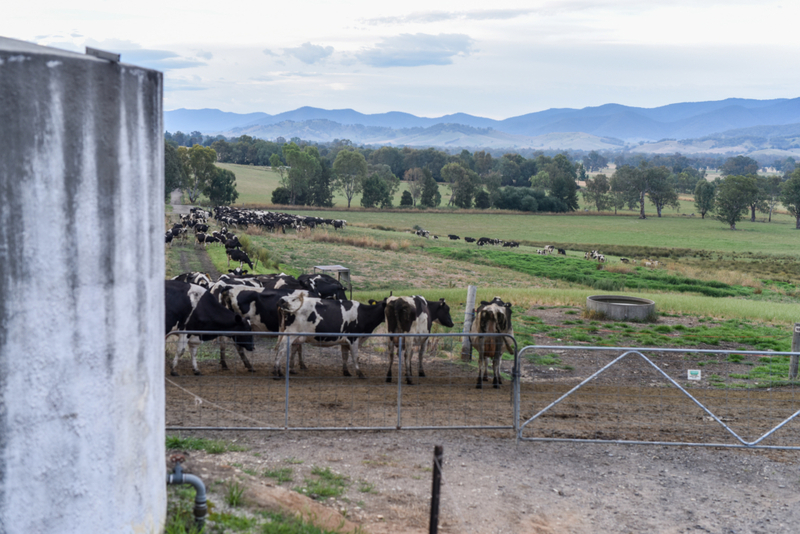 At Gundowring, the cows calve once a year, (usually in the Autumn) and are milked twice a day in a rotary style dairy, where they are fed a mix of locally grown grain during milking. 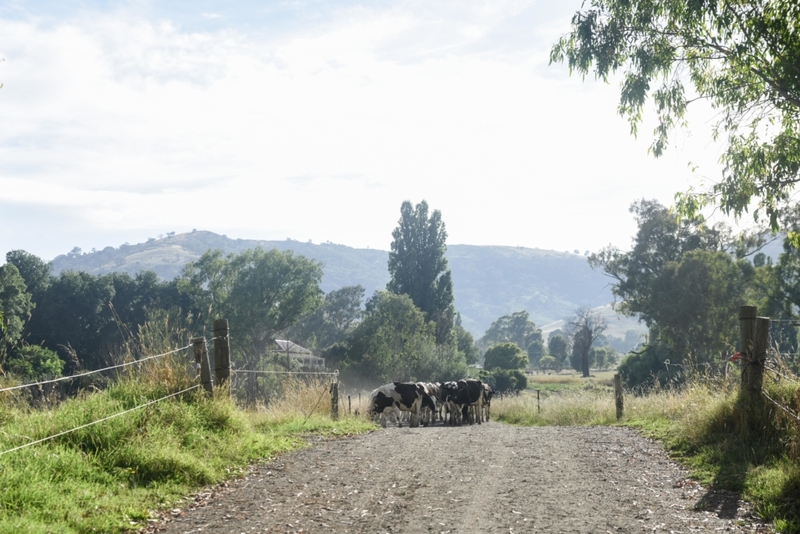 On the farm, the cows are free to roam 1,000 acres of pastures on the river flats of the Kiewa Valley. 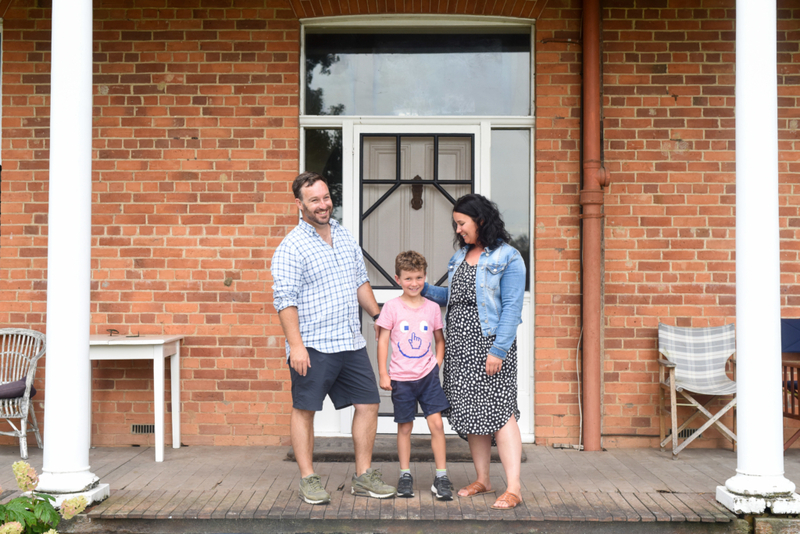 The historic Gundowring property, originally settled by the family of explorer Hamilton Hume in 1835, was purchased by the Crooke family in 1945. 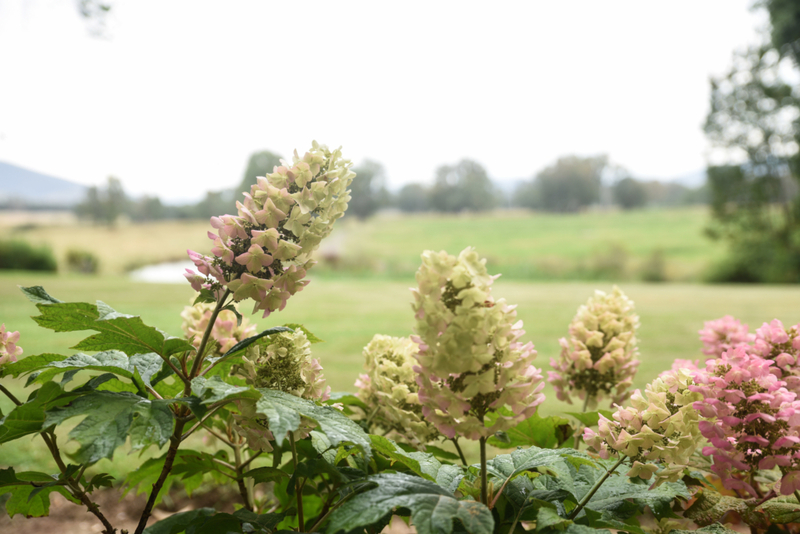 It is here that the family, a fourth generation of dairy farmers, craft their award-winning ice cream. 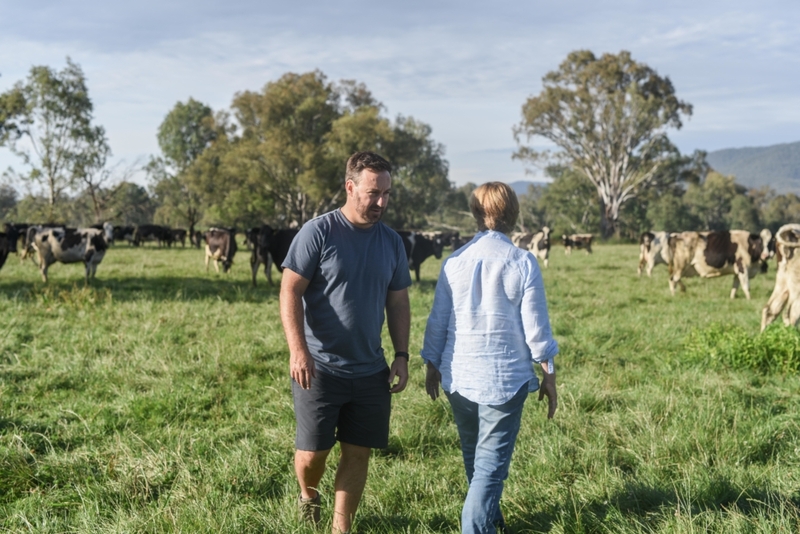 Stephen and Sarah have dairy farmed at Gundowring for 36 years, and in 2003 were looking for a new challenge. 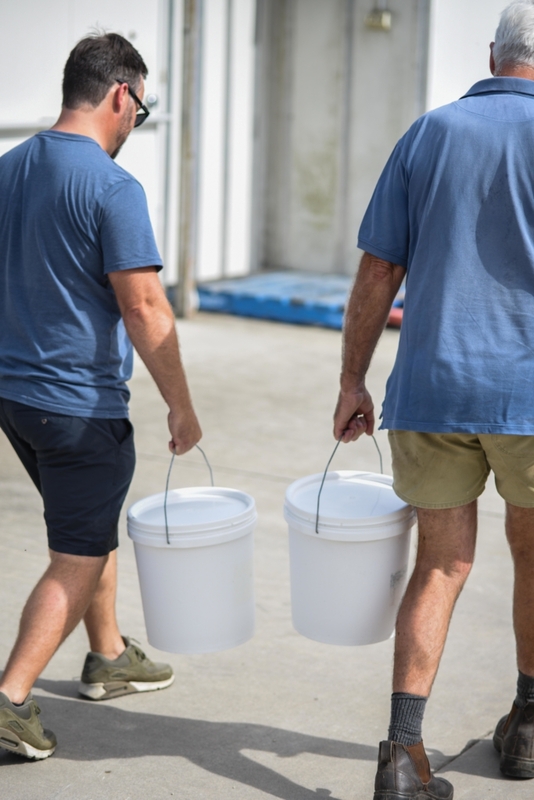 They wanted to use their love of food and the premium quality milk the cows were producing to make something unique, so they started churning their own ice cream and selling it at local farmers markets. 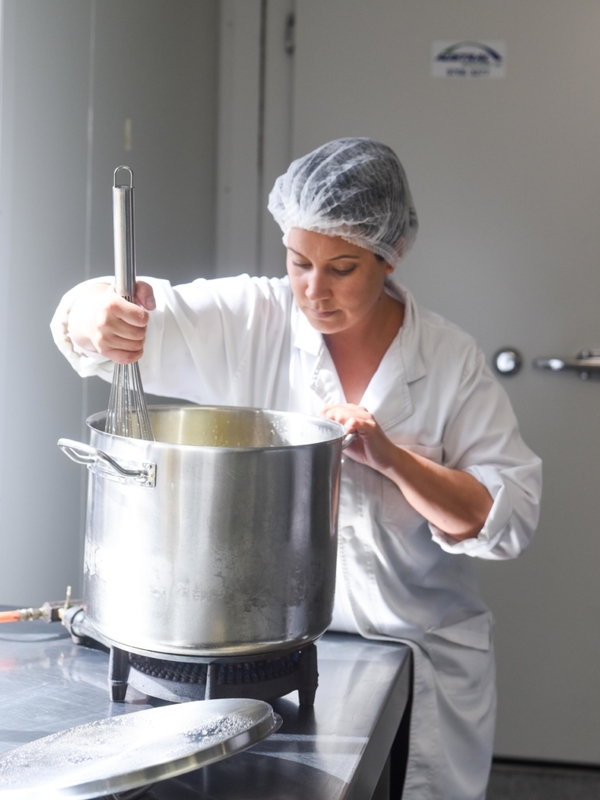 The ice cream has since developed a cult following, receiving great acclaim throughout Australia. The business has now been passed on to their son James and his wife Iris, who are putting their own spin on the delicious range of flavours.Stephen and Sarah are still a key part of the business and the all-important tasting panel, and certainly lend a hand when grand parenting duties with Oliver allow. 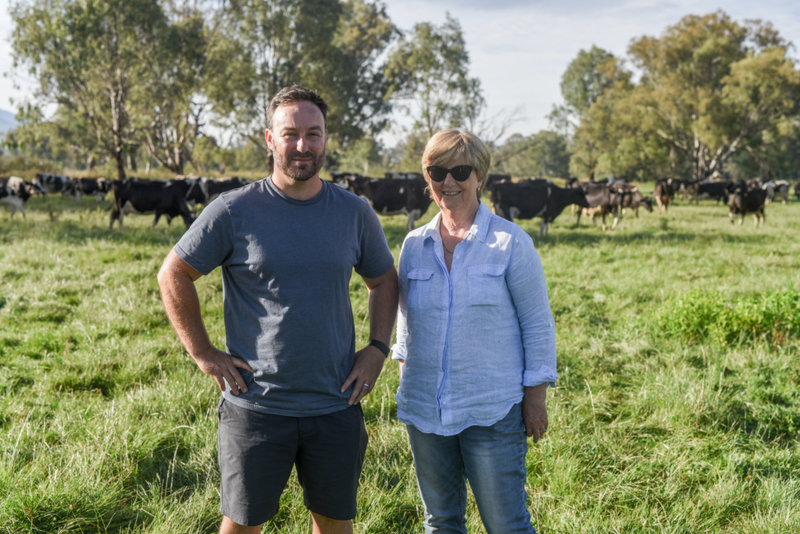 To prove just how good their ice cream is, Gundowring has just been awarded the highly acclaimed Champion Awards in the 2018 Australian Grand Dairy Champion Award for its licorice ice cream, which is no mean feat. 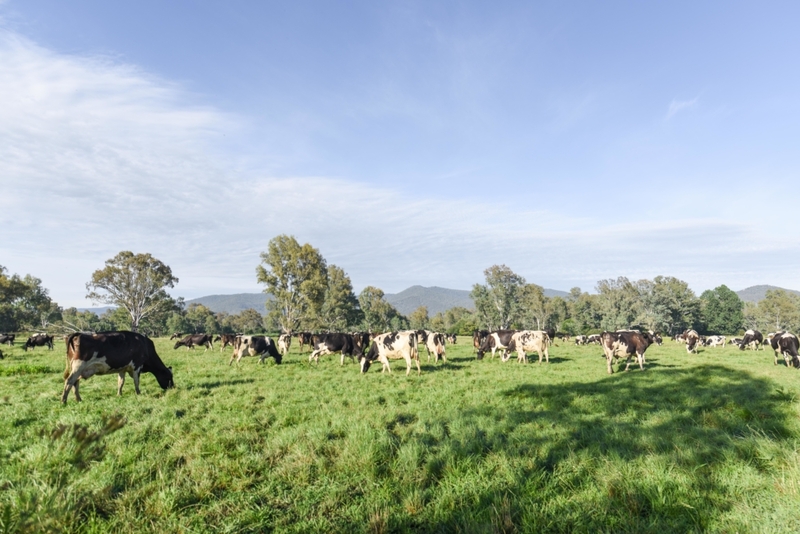 The Australian Grand Dairy Awards began in 1999 to recognise and reward excellence and innovation in Australian dairy produce and are the highest accolade for a dairy producer in Australia. 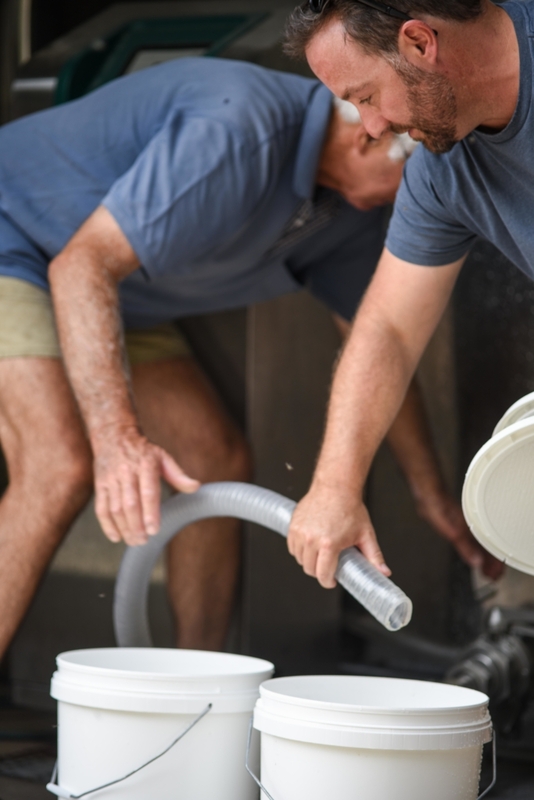 The Awards recognise the quality and excellence and the meticulously honed skills of local Australian producers, who craft some of the highest quality product in the world. 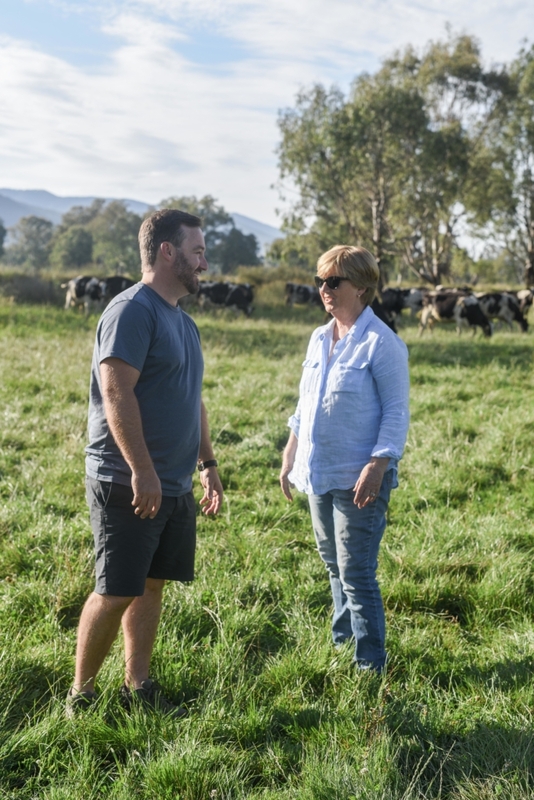 More than 300 of Australia’s top dairy products – from milk, cream and butter to yoghurt, ice cream and cheese – were put through a rigorous judging process, assessed by 24 expert judges. 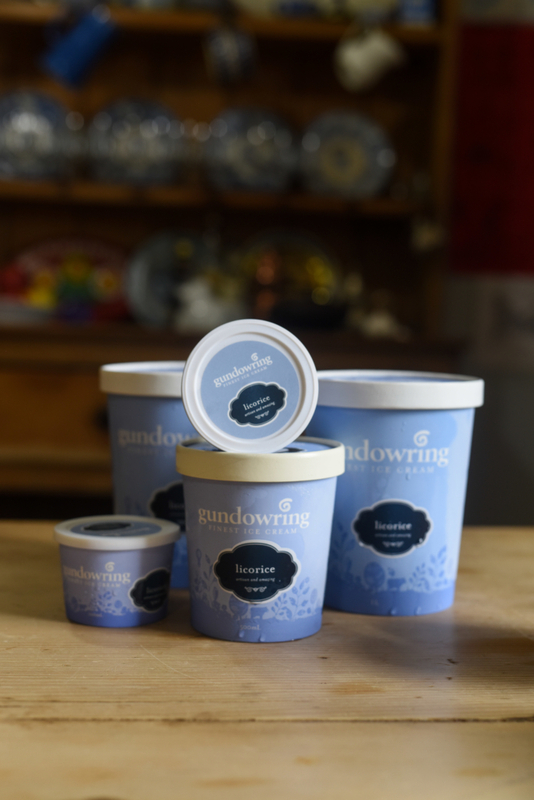 Only gold-medal winning producers were invited to enter, meaning Gundowring ice cream has won the ‘best of the best’ ice cream in the country. So what is the secret behind their success? The Crookes really wanted to create a wholesome ice cream with real fruit and flavours included. According to James it’s all about using “fresh, natural, quality produce combined with the rich creamy milk from their cows”. 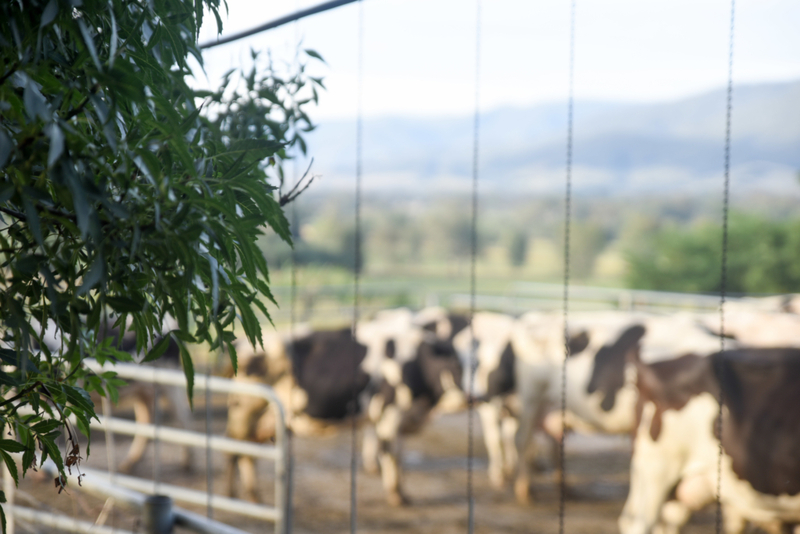 Gundowring only use the fresh, rich, creamy milk from their herd of Holstein cows combined with the best regional and seasonal ingredients, including superb quality locally grown fruit including fresh raspberries and lemons, nuts and honey. There are also no artificial colours, flavours or preservatives in the ice creams. And don’t forget real egg yolks. “We use up to 15kg of egg yolks in our icecream per day!” James says. Their champion licorice ice cream is made with the super velvety Junee Licorice and Chocolate Factory organic licorice and their own farm-fresh, creamy milk. The unique flavour was borne when a Victorian restaurant asked if they could craft it for a dessert. 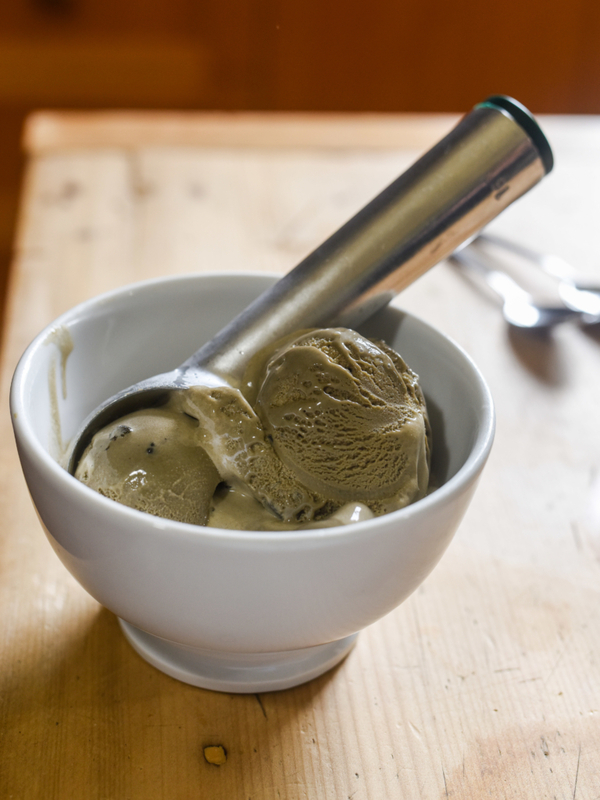 I was lucky enough to try it fresh from the ice cream factory – it’s unashamedly intense, smooth and brimming with aniseed flavour with chunks of real licorice in it to give it a beautiful texture. 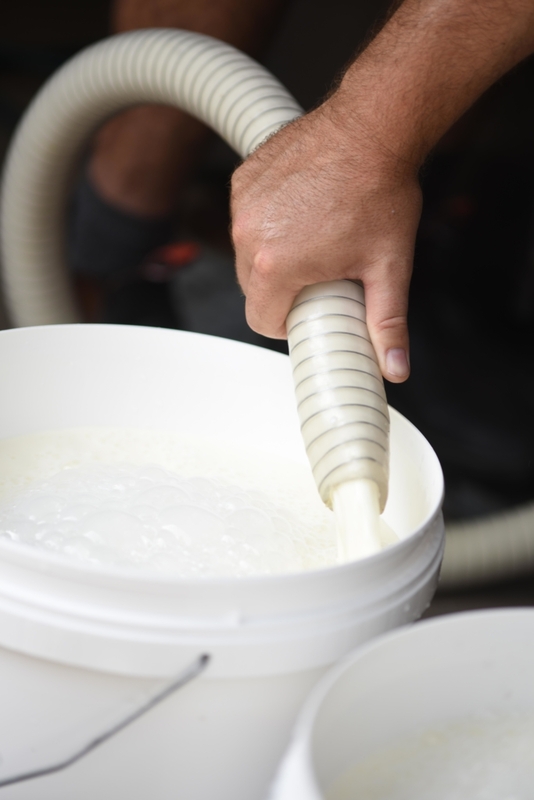 I had the pleasure of seeing the process behind their creamy delights. The most fun (and tasty!) part is seeing the velvety ice cream pour out of the blast chiller in the final stage. 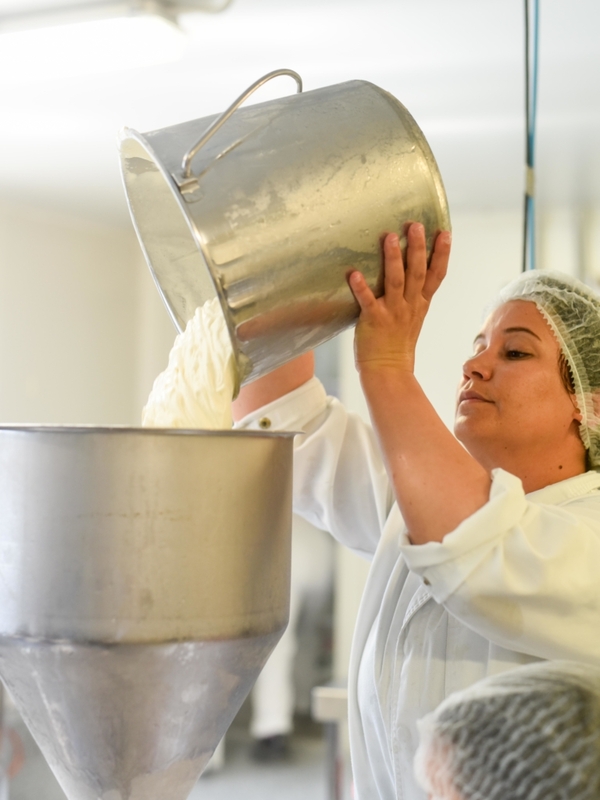 The ice cream factory is a hub of activity, as fresh milk is combined with eggs yolks and sugar to create a classic anglaise base for the ice cream, which is then combined with selected seasonal fruits, nuts and honey to create the different flavours. 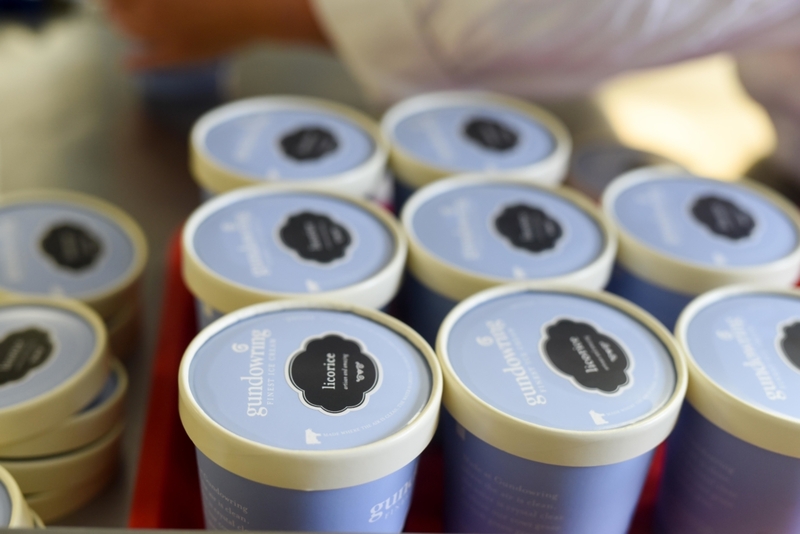 The ice cream is also packaged in-house in the factory and transported directly to the neighbouring freezer. Gundowring make a range of delicious flavours from an intense dark Belgian couverture chocolate to stringy-bark honey and walnut and cafe latte made from fresh ground medium-roast Fair Trade Ethiopian Arabica beans and creamy milk. 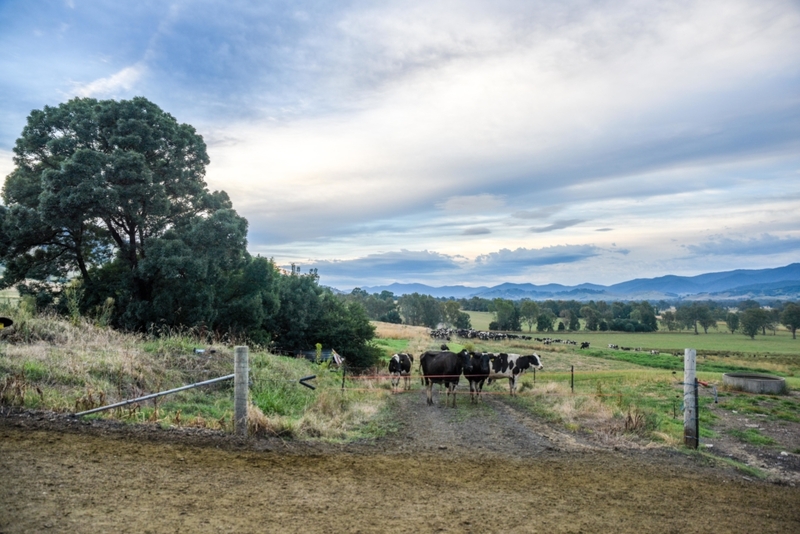 Sustainability is the key to Gundowring to ensure the farm is used for many generations to come. The Crooke Family have ensured that wildlife corridors are protected and revegetation programs have restored riparian zones and bird and animal life is abundant.The abundant Spring pasture surplus is harvested and conserved as silage and is fed during the heat of summer and depths of winter to supplement grazed pasture. There is a small amount of irrigation during summer to boost summer pastures and grow fodder crops.